Today marks the 41st anniversary of “Abyssinia, Henry” airing on CBS. The Season 3 finale was originally broadcast on Tuesday, March 18th, 1975. Did you know it was the highest-rated program on television the week it aired? Reportedly, the network later edited the ending when it repeated the episode but, based on my Broadcast History for the series, CBS didn’t repeat “Abyssinia, Henry” during the summer of 1795. So if CBS did edit the episode, it must have been during a late night or daytime repeat. Henry gets drunk celebrating with Hawkeye and Trapper. 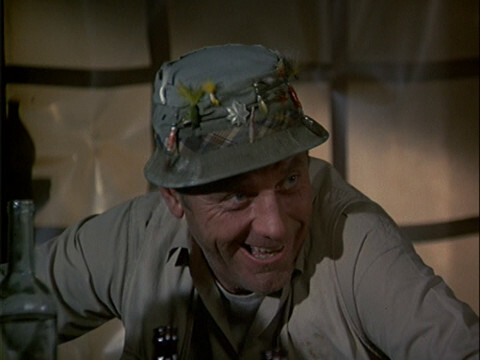 Occasionally, I worry that new fans of M*A*S*H who haven’t seen “Abyssinia, Henry” will be reading my website or blog and wind up spoiled. I’m pretty sure by the time I saw it on FX in the late 1990s or early 2000s, I had already knew all about how the episode ended. Still, I go to great lengths to avoid spoilers about TV shows and movies even if I have absolutely no interest in watching them, regardless of how old they are. On the other hand, it’s been more than four decades since the episode aired. If you’re a fan of M*A*S*H, even a new one, it’s likely you’re going to be spoiled if you venture online and attempt to read anything about the series. About five years ago, I looked into whether or not the ending of the episode was a tightly kept secret when it originally aired. 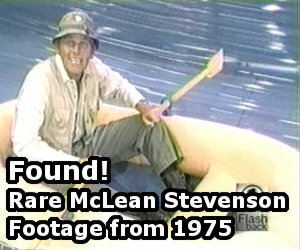 It was well known prior to the episode airing that McLean Stevenson was leaving M*A*S*H. I found evidence to suggest that anyone reading the right newspaper columns and/or entertainment magazines in late 1974 or early 1975 may have known what was going to happen at the end of the episode. Also, you can find my December 2013 Episode Spotlight review of “Abyssinia, Henry” here. And you can read all about the music heard in the the episode here. Hit the comments with your thoughts and memories about “Abyssinia, Henry.” Be sure to check back this afternoon because I’ll be revealing something very special relating to this episode. RJ, would you know if it is possible to get the ‘Memories of Henry’ piece of music by Benny Golson?? It’s beautifully composed, and I would love to be able to download and listen to it again. Ask and you shall receive. For a limited time only, you can download an MP3 of “Memories of Henry” here. I just get redirected to an ‘X’. Oh well, I can just pop the DVD into the computer and listen with headphones.